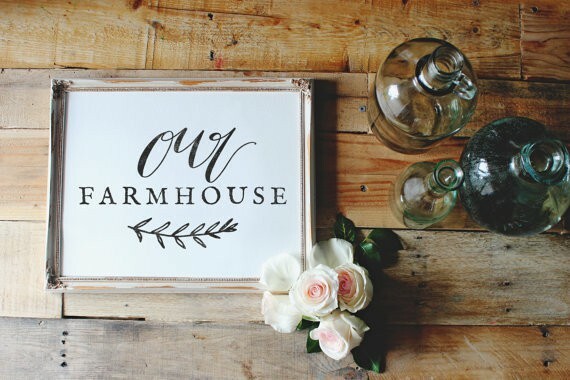 I have always loved the Farmhouse Style decor. If you haven’t been living under a rock then you know it is on trend big time right now. I won’t say “back in style” because it has been a classic that never went out of style. However, right now it is EVERYWHERE (yes.. everywhere). All of these are what makes up some of that beautiful farmhouse charm. That doesn’t mean we have to have a Fixer Upper (the HGTV show) budget to get it. 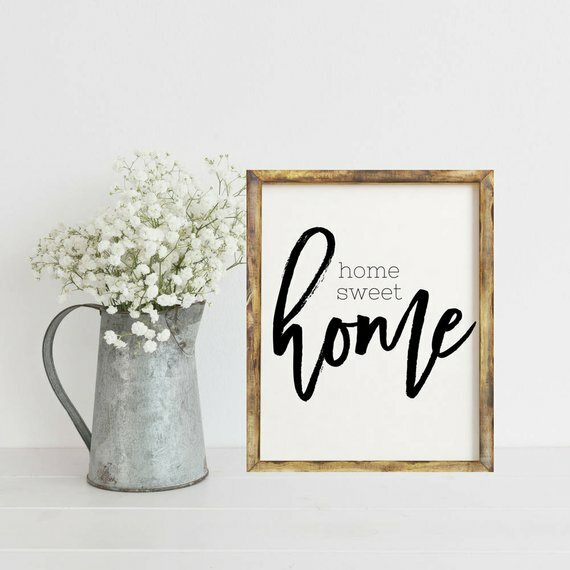 Today I wanted to share with you 7 free ways to decorate your home with a touch of that rustic vibe. 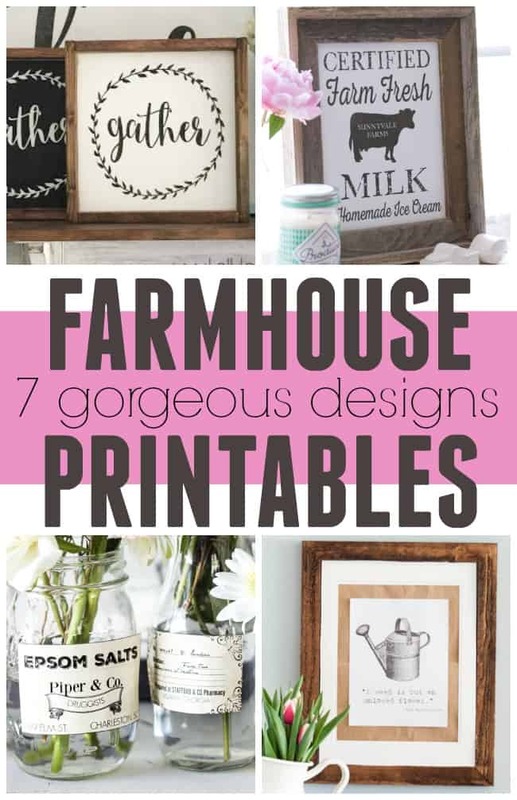 These amazing bloggers have provided for you these beautiful Farmhouse Printables and yes they are all FREE to print. All you need to do is find the one you love, pop over to their site and get your ink ready. 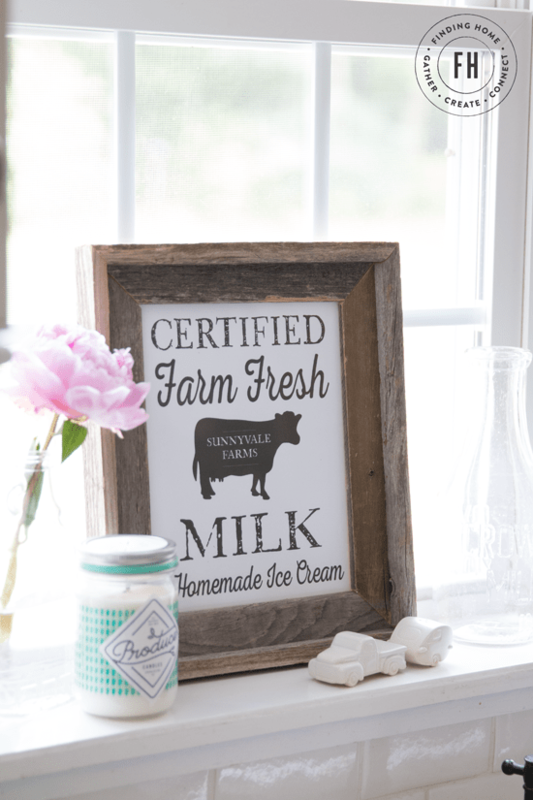 Finding Home Farms offers this super cute farm fresh milk print. 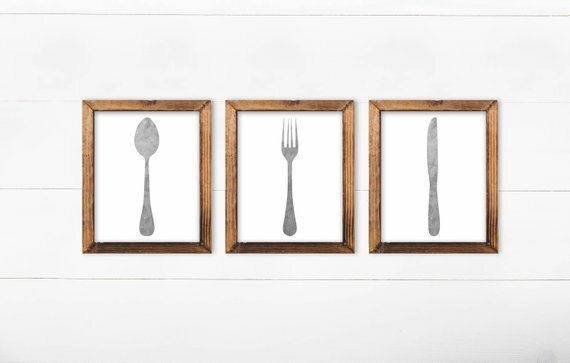 Perfect for a little touch of rustic charm to your kitchen or dining room. 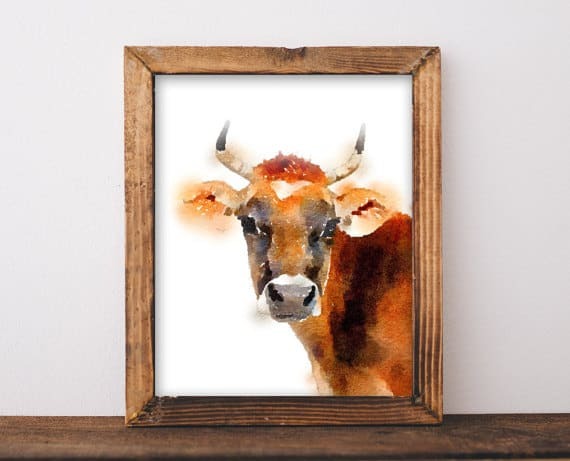 Want to add a little print to your sideboard. 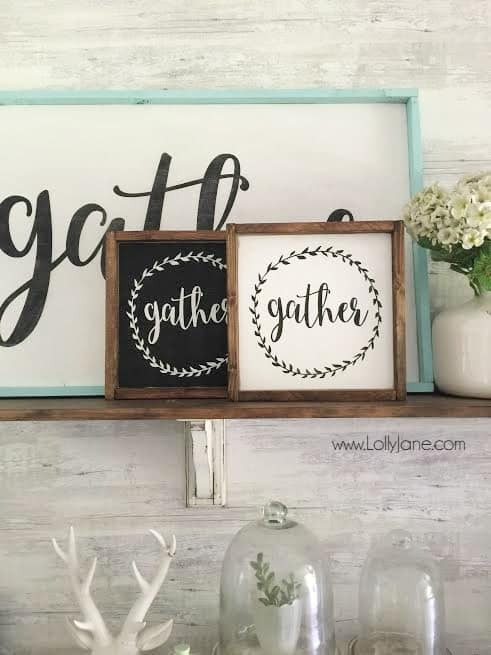 This mini gather print from Lolly Jane is probably just what you are looking. 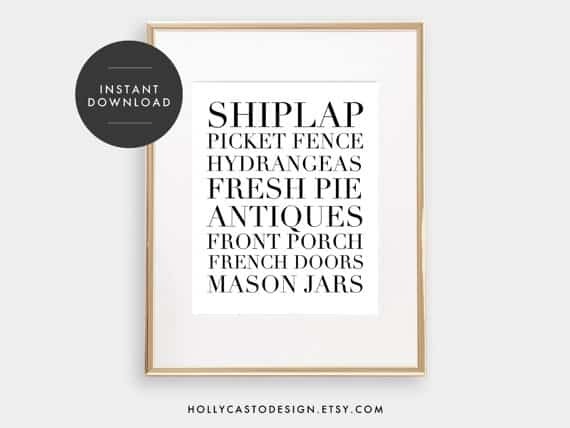 Although this printable is no longer free to print you can still get their printable off Etsy for a reasonable price or they show you how to create one as a DIY in this easy to follow tutorial. 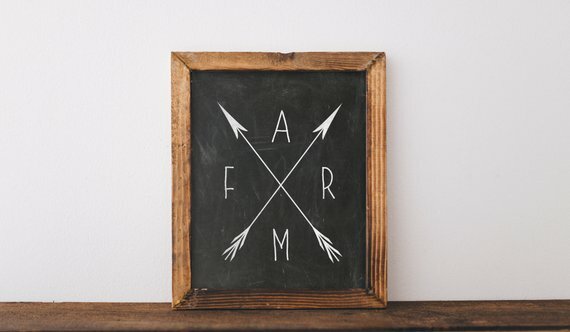 Butcher prints are pretty iconic for a Farmhouse printables design. I love these from The Mountain View Cottage. 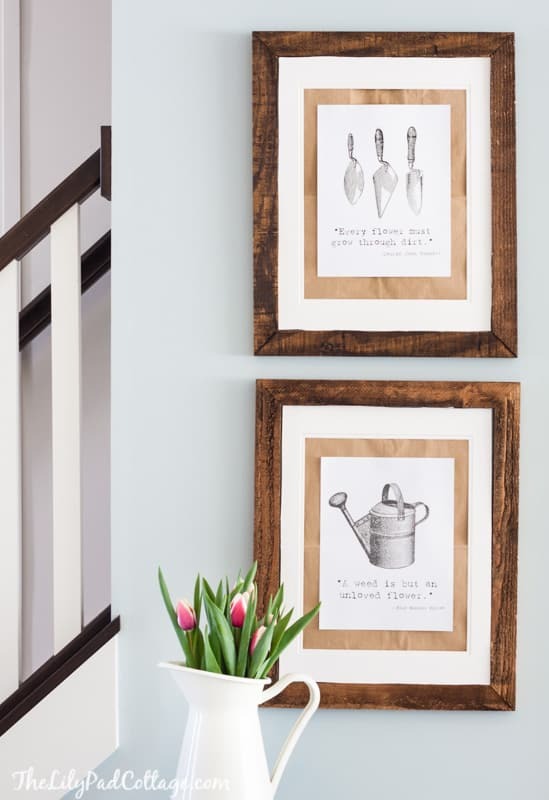 If you are thinking to yourself that you already have tons of farmhouse animal prints and word quotes then what about these vintage gardening prints from The LilyPad Cottage? These definitely give off that farmhouse charm. 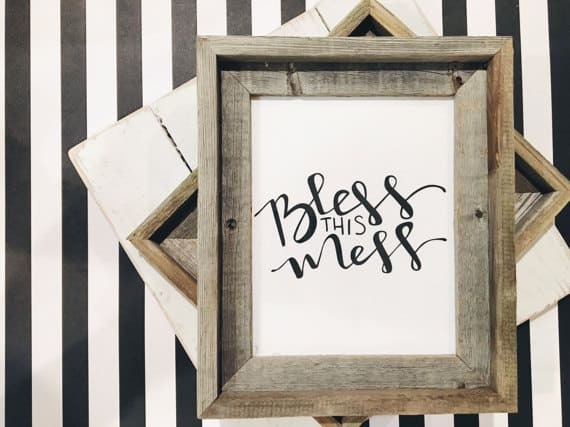 It doesn’t have to be just your walls that get a little free printable love. 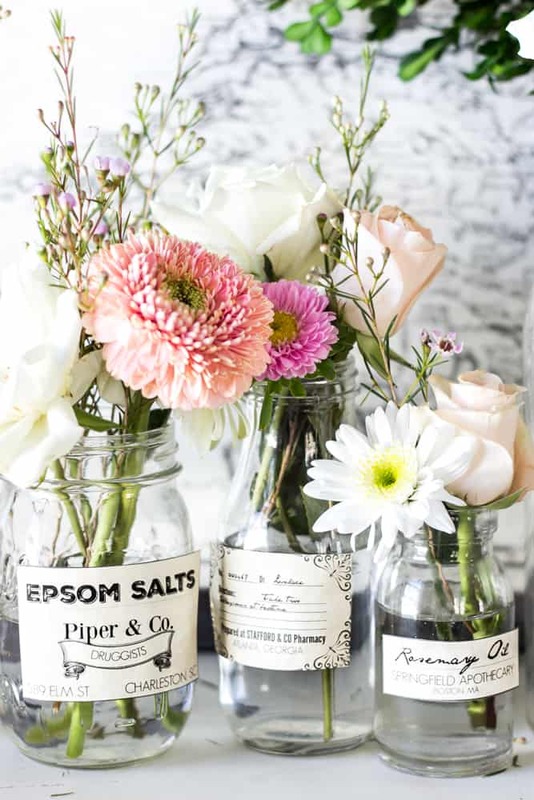 Blesser House offers these amazing apothecary jar prints that are so gorgeous. You could even soak your paper in tea before printing to give them a vintage feel. 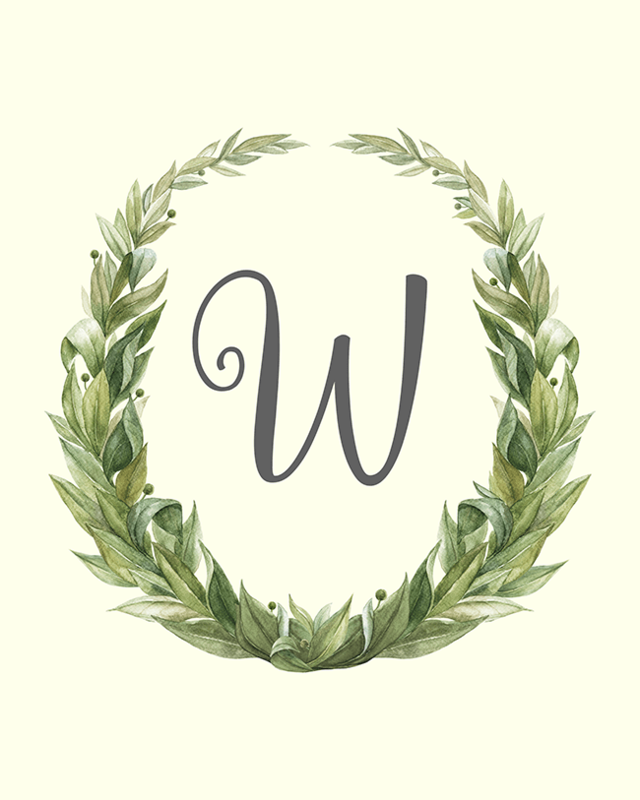 Whether you want to make a banner or you just want to show off your monogram Thistlewood Farms did a beautiful job creating these lettered monogram prints. 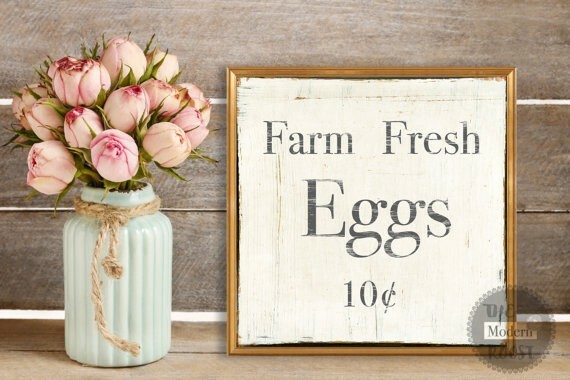 Last but not least A Cultivated Nest offers a chicken wire print that would be simply beautifully displayed in the kitchen. 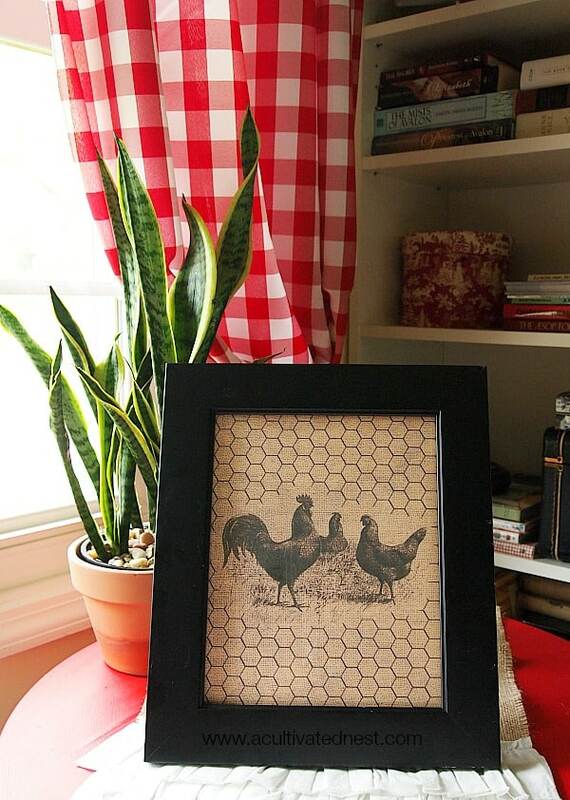 Roosters have been a part of my kitchen design since I first got married (17+ years ago) so I really enjoy this print. And that is it… I hope you found at least 1 but hopefully a few different prints you can’t wait to print out for yourself or a family friend or two. These bloggers did amazing work, right? Don’t want to print? Just want to shop? Here are a few gorgeous prints you can purchase! 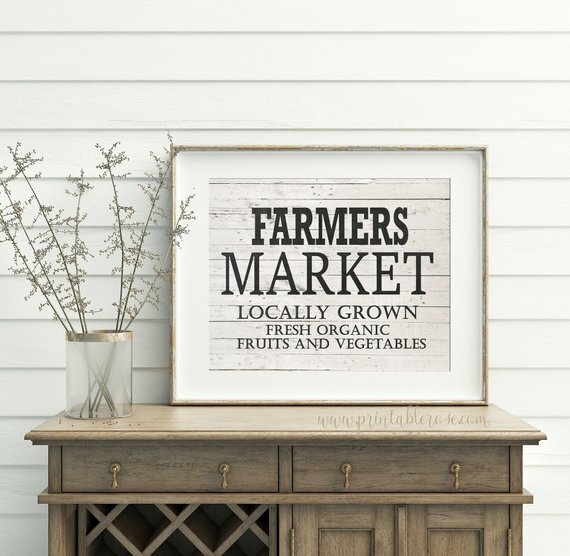 How to create vintage signs! How to make wood signs! Hello! How did you get the labels on the glass jars? Lauren (the owner of the prints) used tape but you could also print them on label or sticker paper and they would be adhesive.